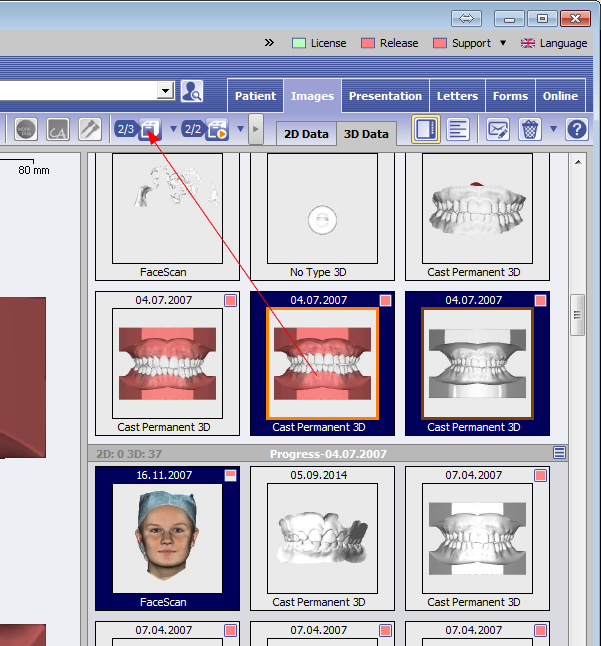 Container Exchange can be used to exchange Onyx-internal data (images 2D/3D, slides, …) by online or offline file export/import. On container file import, the container content is imported into the mandant of the sender. If not available yet, the mandant is created automatically. 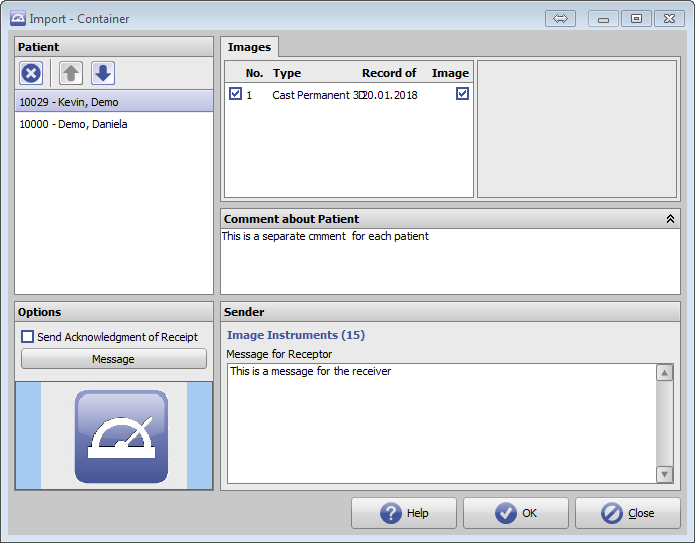 Containers can include multiple patient records and findings. 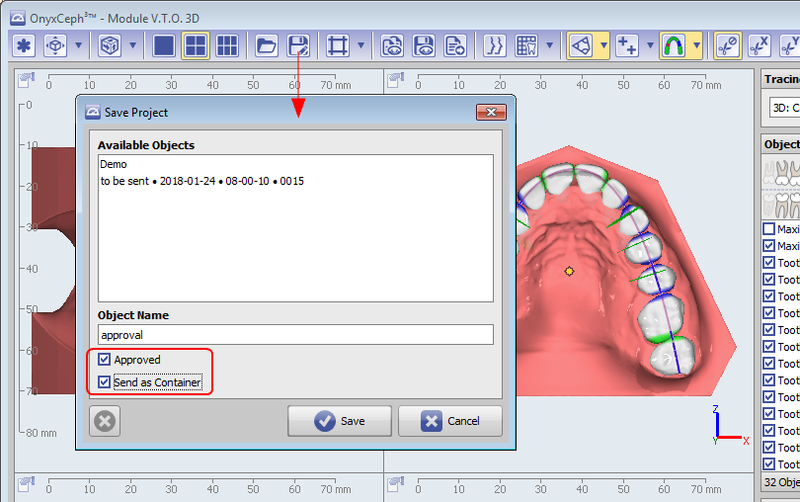 If created in a module, only the patient/finding related to the saved project will be included and sent/uploaded. Containers can be exported locally or online by different menus. 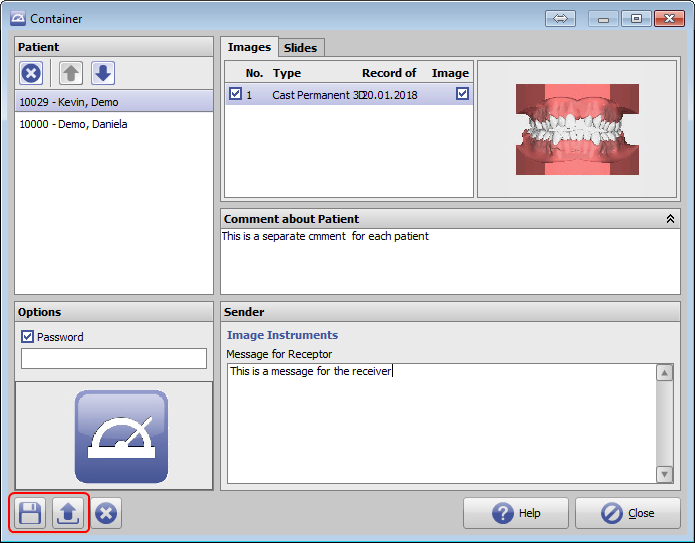 By selecting the Edit/Send menu entry, the cointainer content is displayed and can still be edited, password protected, logo labeled etc. I saved locally, a file save window is opened. 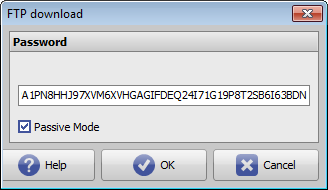 If uploaded, the file upload options are provided. Export of module-created containers is only possible by upload immediately by saving the project. For upload, all partners will be listed in a button panel which can receive containers via their own incoming server. 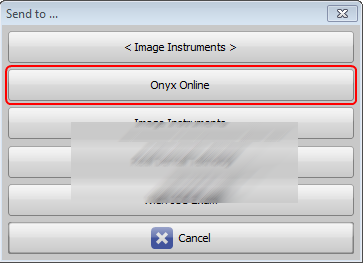 The configuration is done by each Onyx user on system options tab |Upload/Incoming| and transferred by container. 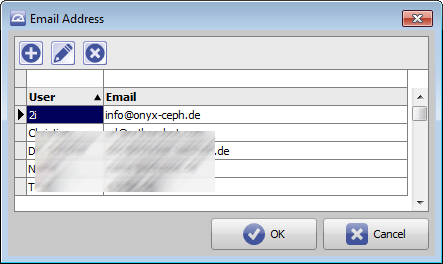 I.e., if a container was imported from another OnyxCeph³™ use before who had set up his own FTP server connection, such button will be displayed for the user. Button [OnyxOnline] will aöways be available. 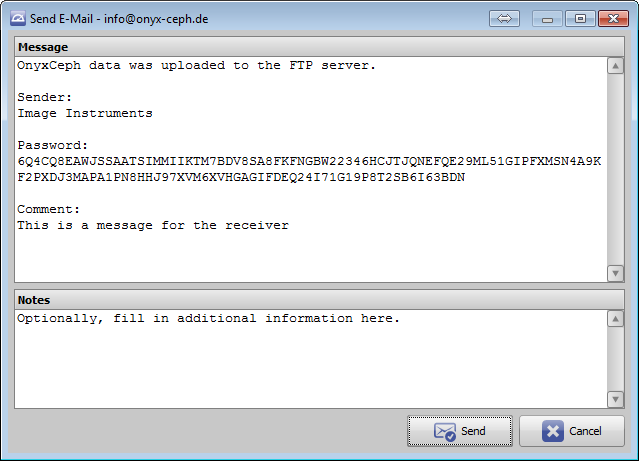 This button allows to transfer the container by an Image instruments FTP server and to address the receiver by an email address. 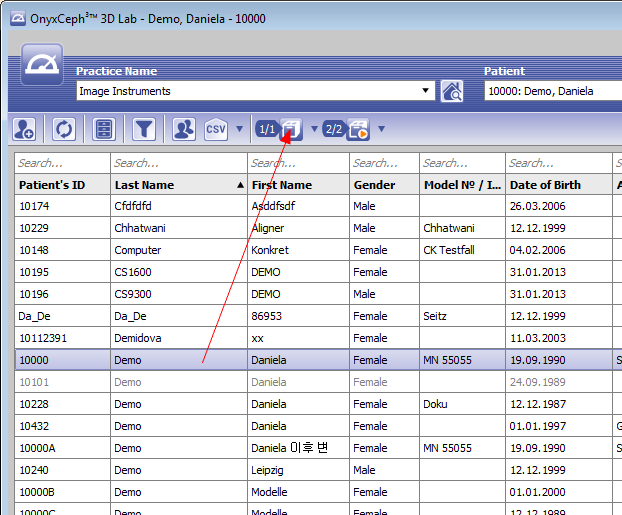 In case the container was created and sent from a module project directly, the contained finding with project will always be opened and displayed in the corresponding module directly. 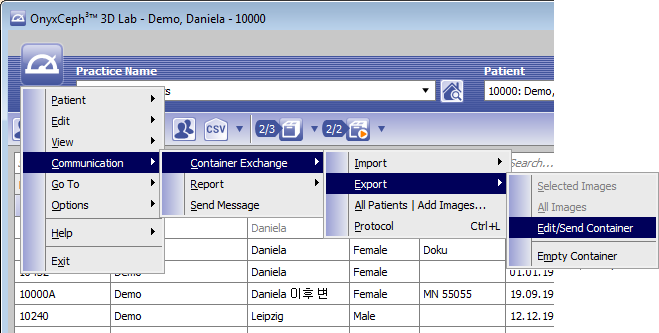 Otherwise, the container import screen is shown. There, it is still possible to modify/edit the content for import.